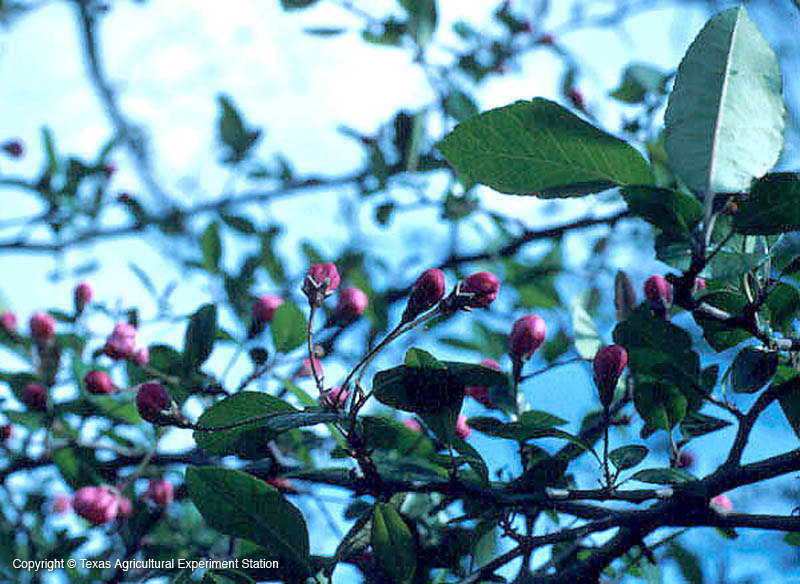 Southern crabapple is an uncommon shrub or small tree that in Texas occurs only in one county in the southeast. There it grows on upland sandy loams. 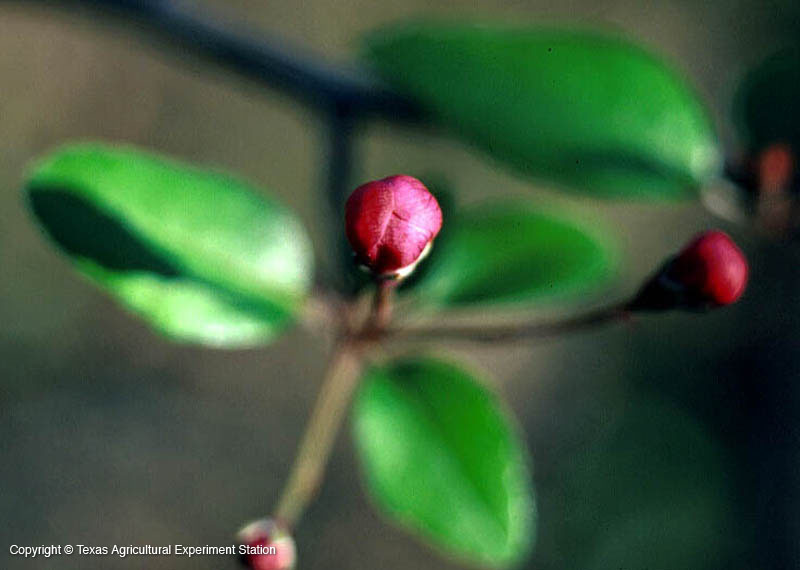 It is usually under 10 ft., but can be up to 30 ft. Its flowers have deep pink buds that open lighter pink, then eventually fade to white. In fall the leaves turn many shades of red, orange and gold.